Top Female Travel Bloggers over 40. As many of you would be aware, one of the reasons that I started my blog A Not So Young Woman Abroad was because of my own frustrations trying to find the information I needed when I was planning to travel. I would look long and hard for things to do and see that were suitable for an older woman travelling solo. 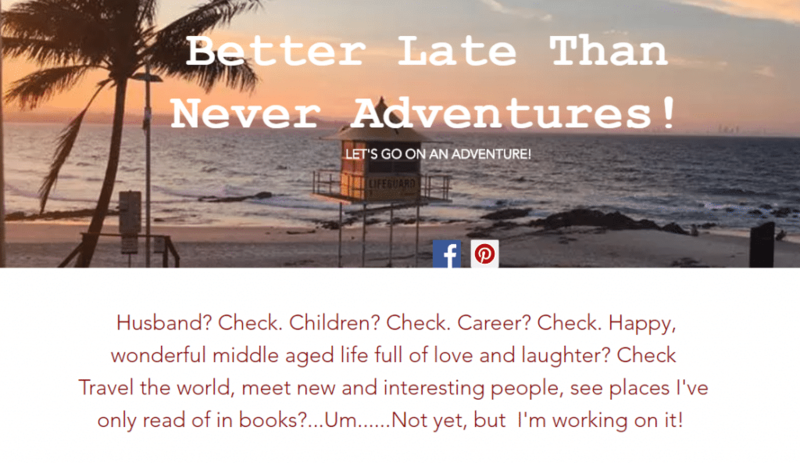 Not content to be directed onto a solo tour or a cruise, just because I was older, nor particularly wanting to go bungy jumping or out to night clubs on my adventures, I saw the need for a travel blog that suited my age demographic. With the mainstream media and traditional travel sites promoting younger travel bloggers, it seemed to me that older bloggers and in particular older female travel bloggers were either non-existent or indeed invisible. 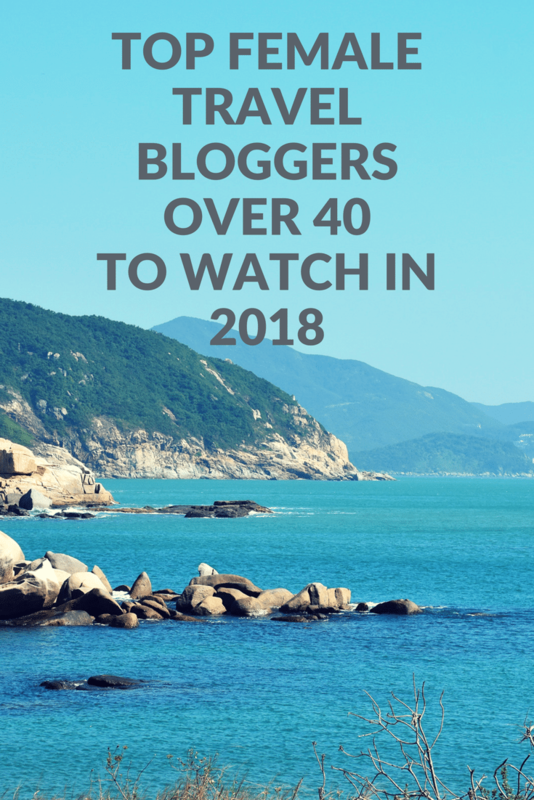 I’ve since found many amazing female travel bloggers who are over 40, with lots of travel stories to share and wonderful blogs to read. Some of them travel solo, some travel with their partners and others travel with their families. Many of them are part of the wonderful group of women who are part of the A Not So Young Woman Abroad Community. I wanted to showcase just a few of them here so that you can follow their adventures too! Laura Lynch started her first blog, Savored Journeys, in 2014, after years of writing for and building other websites. It’s always been her passion to travel and a blog was a way to share her knowledge from having travelled to over 60 countries. Blogging soon became an obsession, as much as a passion, and Laura made blogging her full time career when she and her husband Nick became expat in the UK in 2016. She had since expanded her business to 5 websites, including one, Make Traffic Happen, that aims to help other bloggers do what she was able to do. She’s written two ebooks on SEO and speaks regularly on the topic of blogging and SEO at blogging conferences. Check out Laura’s tasty morsels here. 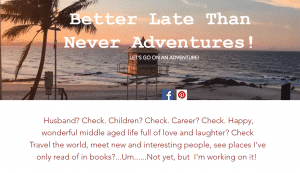 As “TheHotFlashPacker” I write about semi-adventurous travel for middle aged women. Incredibly, I’ll be turning 45 twice this year – once in Samoa and again on a cruise ship crossing the international date line the next day. I like to show you don’t need to be a 20 or 30 something to hike and sleep on the rim of a volcano, or snorkel with strange creatures like sharks, manta rays, manatees, and jellyfish. I describe my travel style as “flashpacking” – a step above backpacking. While I like to rough it sometimes, I will splurge to have a hot shower or get a private ride or flight when the alternative is a standing room only 10-hour bus ride. I also tend to shy away from the busy tourist spots. Some of my highlights in 2017 involved seeing less than a tourist per day in West Timor, Timor Leste, and Somaliland and seeing some spots that very few tourists have ever seen. Having a beach to yourself can be exhilarating. Not all my 2018 travel is planned yet, but hopefully it will involve some offbeat locations. Find Lisa’s tips for off the beaten track places and flashpacking here. My dream has always been to travel, to have adventures, to see the world! It’s taken a bit longer than I thought, but my adventure has just begun. For as long as I can remember, I have been fascinated by foreign lands and the idea of seeing every corner of the world. As a ten year old I would lie in my room and plan routes I would take through places that gripped my imagination and fuelled my wanderlust. I’d pore over old National Geographic magazines and holiday brochures from my small town travel agent. (They got sick of seeing me but still kept a stack ready). I am inspired by the strong, independent women who have blazed the ‘latter in life’ travel trails and hope to inspire my own children to seize life and go for their dreams. It would take 35 more years, an understanding Husband and 4 almost grown up children before I finally got to start my adventures. But now I’ve started, there’s no stopping me! Check out Dana’s blog Better Late Than Never Adventures here. Kathy is a 60 year old who has been blogging at 50 Shades of Age for the past 4 years. She is married with two adult children and lives on the Gold Coast in Queensland. She enjoys living life to the fullest and loves to keep fit and active by maintaining a healthy diet and exercising regularly. Some of her interests include reading, movies, travelling, cooking and blogging! Kathy works part-time as a freelance writer but her real passion is travelling and photographing brilliant destinations both within Australia and overseas and writing about it. Kathy commenced the blog as a platform to encourage and inspire women of her age. After reaching that milestone age of 50, with kids leaving the nest and feeling unemployable, Kathy felt a big void in her life. 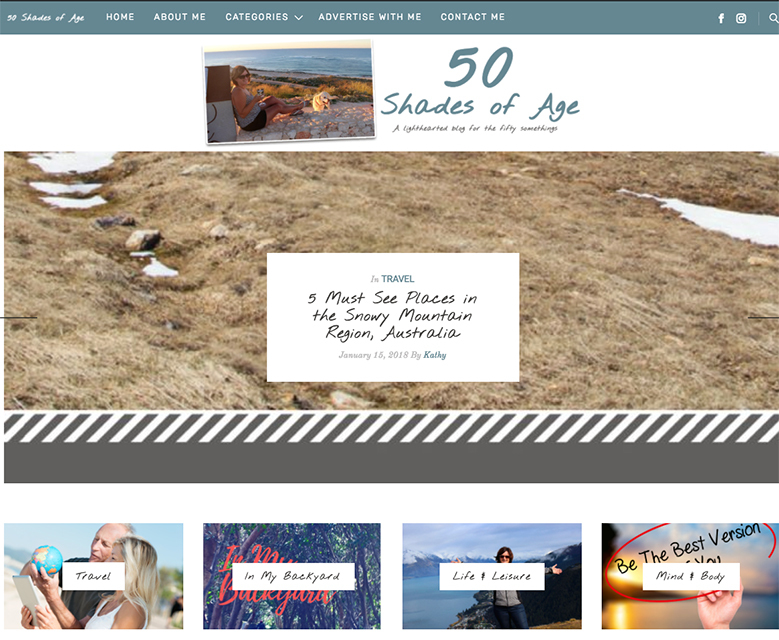 It was with this in mind that she decided to start up 50 Shades Of Age – a website where she could reach out to her sisters and tell them that their lives could be so much more. Kathy’s desire is to be the voice for the new-age 50 something year olds to empower and motivate them to travel and see the world! Get some motivation from Kathy here. Jen is the driving force behind JenThereDoneThat travel blog. After two decades of travel as a career road warrior, Jen is finally slowing down and traveling slower, savoring each destination and exploring a bit deeper. Along the way, she shares top travel tips, wisdom, recommendations, with beautiful photos and videos. Now into her forties, travel is all about comfort with high value affordable activities, healthy lifestyle and adventure with a few luxury splurges thrown in for good measure. 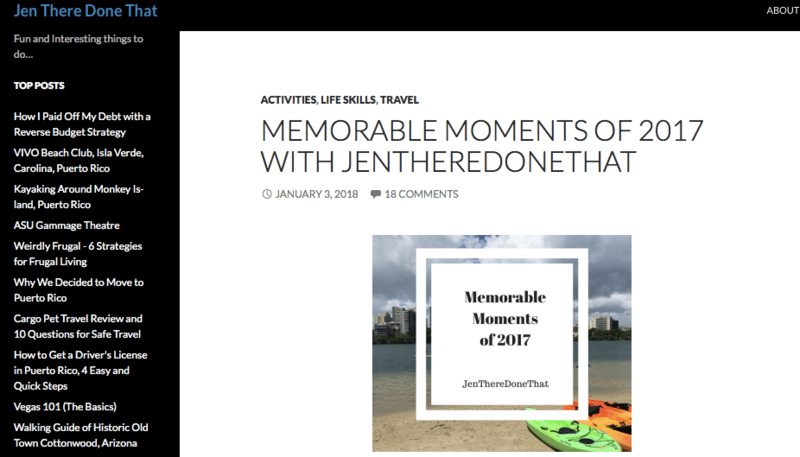 January 2016 was the start of a new adventure in the Caribbean, follow along with Jen on more beach activities, snorkeling & scuba dive trips, hiking, sampling the local cuisine, tours of nature, exploring museums and history, with frequent spa visits. Check out where Jen has been and done here. My children are grown now and settled into their family lives. One day I realized if I didn’t start to experience the world I so longed to see, it would never happen. For my 50th birthday, I took my first European trip. I still work full time and have a few years before retirement, but I have since made traveling during my off time a priority. 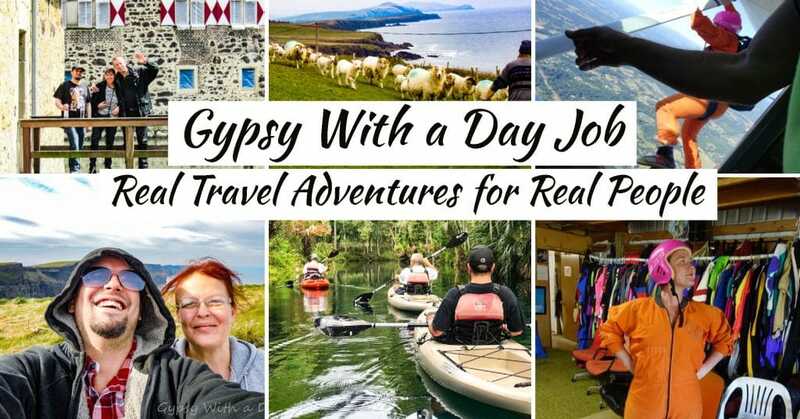 Many people go through life thinking of what they will do “someday.” Gypsy was started to inspire others to travel when they can. Since I understand the requirements of a demanding career and raising a family on an excruciating budget, we include articles on work-life balance, and free places to get away. We aim not only to inspire, but to give enough information to make it happen. My name is Corinne and I discovered travel blogging a few years ago and found it to be a passion of mine. 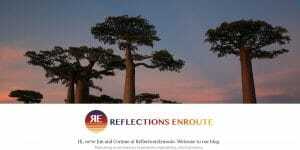 I blog at Reflections on Route with my husband. The blog is about inspiring people of all ages and stages of life to get out and travel. From budget to luxury, we have lots of suggestions, stories, photos, and itineraries that will help people to just go! We are Americans currently living in Germany, so most of our content is centered in Europe, but we are also pretty successful at getting out to see the rest of the world as well. See what Corinne is up to here. Robin Harwick, PhD is a writer, academic, and consultant dedicated to improving the lives of children and families through research and service. Dr. Harwick spent years coaching youth and young adults on how to achieve their dreams. She decided it was time to “walk her talk” and recently embarked on a world schooling adventure with her teenage son, husband, and two dogs! She and her family are currently living in Mexico and are heading to Europe in the spring. They travel slowly allowing time to deeply experience each location. Robin’s literary format complimented by Stan Reed’s (her husband) gorgeous photographs takes the reader along on their journey. Robin hasn’t left her scholarly endeavors completely behind; she also writes about education and shares resources for educators, parents, and social workers. In her commitment to empowering youth, she has a page dedicated to sharing their voices. You can follow Robin’s adventures at LETgo: Grab Opportunity here. 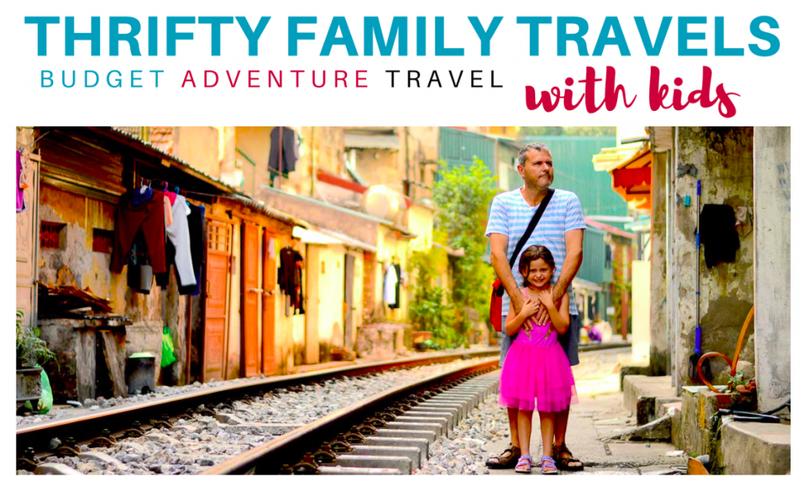 Melissa is the creator and writer for the Thrifty Family Travels website; which details her family’s travels both locally and across the globe. Prior to having her daughter Myla, Melissa was an avid solo backpacker, visiting over 30 countries mainly on her own. Once having Myla (who is now 6 years old), she has continued her travels and has now passed on her travel obsession to young Myla. Together with Melissa’s partner Andy the three get out and travel as much as they can, whether that be internationally or around their local area. Melissa now writes about her families travel across the world, as they experience new cultures, indulge in local delicacies, and explore every corner of the world. Being an obsessive budgeter, researcher and planner, on the blog Melissa shares her budgeting tips as well as detailed itineraries so families may replicate the trips during their own holidays. 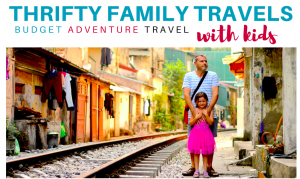 Melissa hopes to inspire others to travel with their children and to show them it is more than possible to see this great big wide world of ours with kids in tow. Check out Melissa’s great travel tips here. Lori Sorrentino of Travlinmad caught the travel bug as a young girl, and has been traveling ever since. She started her journal-style blog in 2008BT (before technology) as a way to stay in touch with her family and post pics when she traveled to out-of-the-way places. Today, she writes about finding the most local and authentic cultural travel experiences you can find wherever you travel, with food at the forefront of that cultural expression. She visited Italy for the first time in 2011, returning to her grandfathers birthplace near Naples, and discovered a different way of traveling that has set the stage for the way she travels and blogs today. As a slow traveler, Lori loves taking the time to explore an area in depth, connecting with the local culture and the people who live there, for travel experiences that stay with you long after you’re home. Check out Lori’s blog here. Hubby Charles and I are based in British Columbia, Canada, and we travel with our two kids, age 9 and 12. There’s plenty of adventure on the road, from fishing for piranha in the Amazon, to swimming with sea lions in the Galapagos, to riding in a hot air balloon over Turkey. At 48, it’s wonderful to have the time to travel as a family, but I do wish I had as much energy as I had in my 20’s! My articles are all about inspiring and empowering other people to travel, no matter their age. 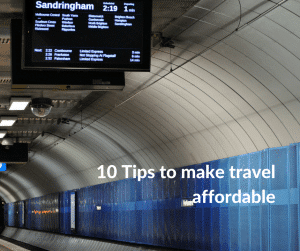 You’ll find lots of helpful tips on the site about saving money for travel, finding a job on the road, the best and most affordable destinations, and even the best clothes to pack! I’m Lyn, 57 year old Aussie wife and mother who enjoys travel and telling stories. For almost 4 years I’ve been blogging at A Hole in my Shoe. Unlike many other travel bloggers, travel is not my job, but it is my passion. A passion I found later in life than most.At 50 we married and on our honeymoon discovered our thirst for travel. 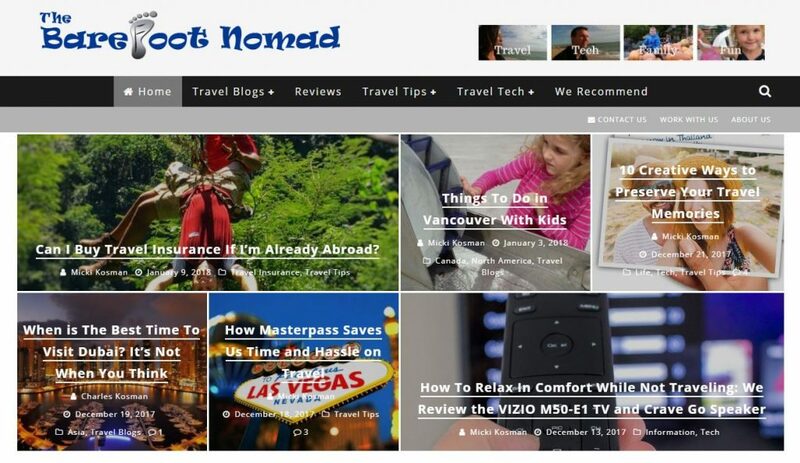 Together we travelled to 16 countries in our first two years and found a way to share our travels was blogging. I enjoy showcasing travel through photography and writing about our own personal experiences and opinions. We enjoy learning about the culture, tradition and cuisine of the places we visit so regularly share the places we’ve stayed, the sights we’ve seen and the food we’ve eaten. Everyday we are one step closer to our next big adventure. I work in Human Resources within the Disability sector and I accrue 6 weeks a year annual leave. Despite working fulltime, I have utilised my leave fully having now travelled to 33 countries, throughout Europe and Asia. When we’re not travelling we enjoy discovering more about our hometown, Perth. There is no place like home and I enjoy photographing our colourful streets and sharing on the blog, showcasing how Perth’s new developments and growing street art scene is changing the perception Perth once had of being dull and boring. See where Lyn ends up travelling in 2018 here. 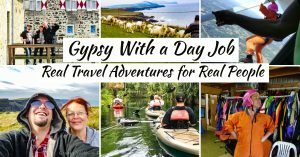 Let’s support these amazing female travel bloggers in their 40’s, 50’s and beyond, travelling the world and writing about their experiences, giving tips and advice from a Not So Young Woman’s perspective. Like these blogs? 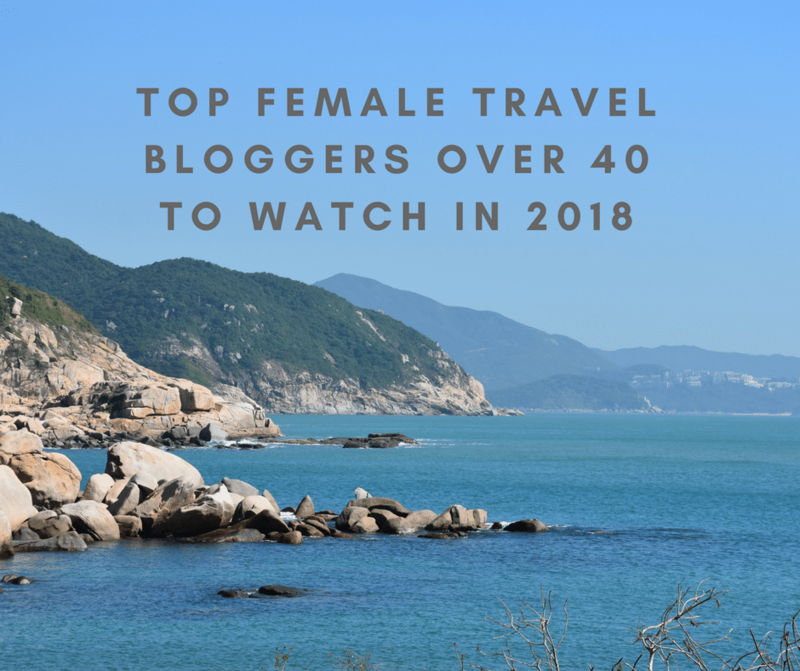 Check out my Top Female Travel Bloggers to Watch in 2019.
of two here so it’s a good resource for me to go check out some new blogs. Thanks! new I launched my blog in November 2016. I’m privileged to be amongst such a talented group of over 40 travel bloggers. Thanks for including me. you for it. Great job! 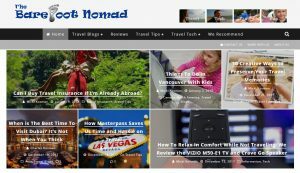 Is there a place where you can learn how to travel blog??? Seminars etc??? blogging. Much to follow up, thanks. is it always nice to find others! few new ones for me to check out. our further travels. Go ladies! Fantastic list!!! 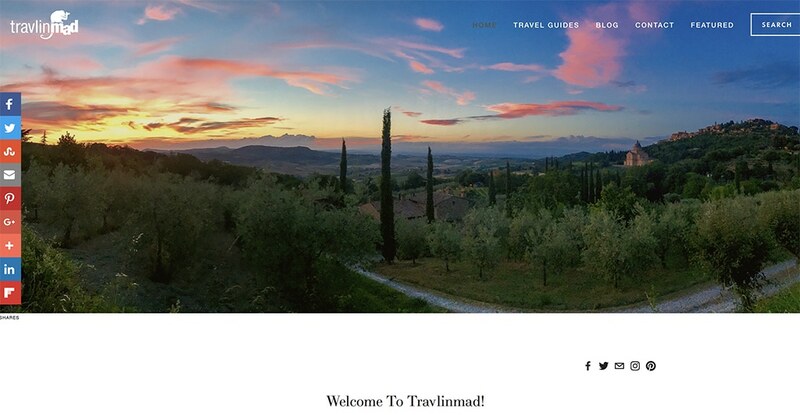 I’m an over 40 travel blogger too! 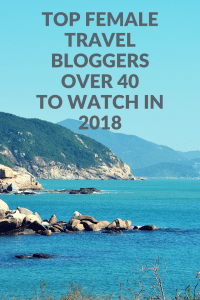 Yes a woman above 40 can be a blogger too !! nice blog ! !